I recently took a mileage run weekend trip which originally included going cross country to New York and back; however, due to the East Coast Snowstorm, it ended up being two nights in San Francisco. 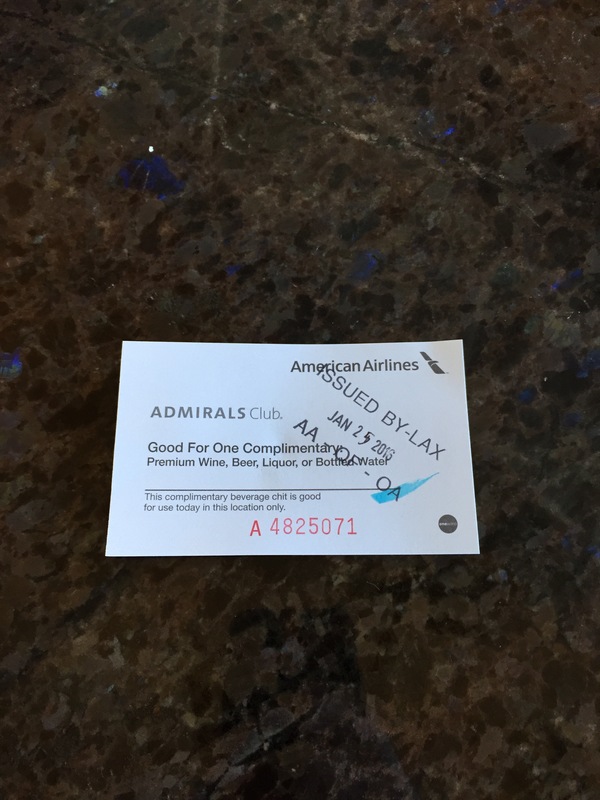 I visited the Admiral’s Club at LAX prior to my flight to Phoenix. 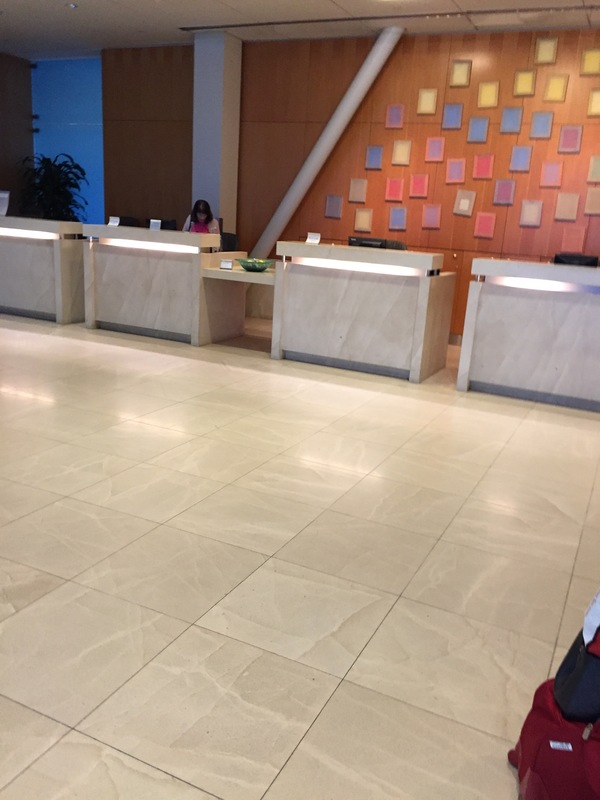 When I arrived there was no waiting at the reception desk. An agent greeted me warmly. I provided my membership card and my boarding pass. I again utilized the Air Berlin pass. The agent welcomed me and she presented a drink coupon for a premium beverage. 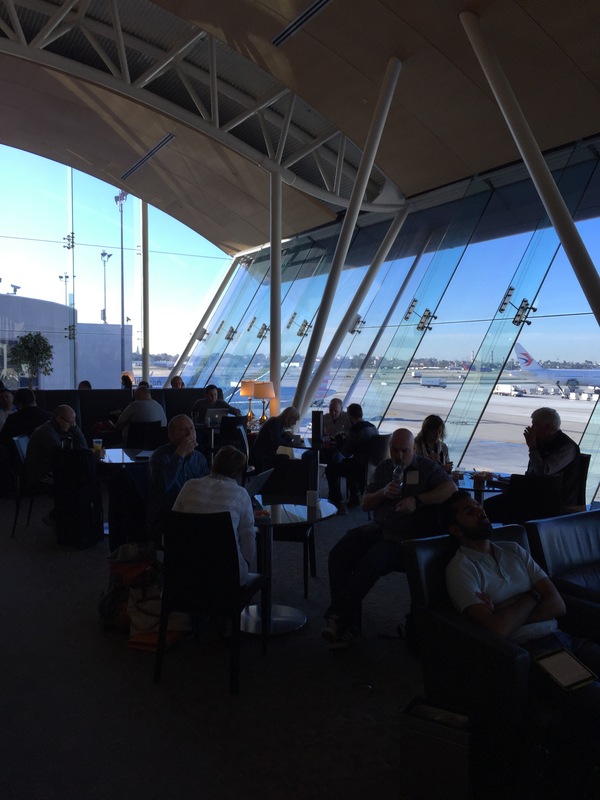 The agent informed me that my flight was departing from Terminal 6 and there was a seven to 10 minute walk from the lounge. 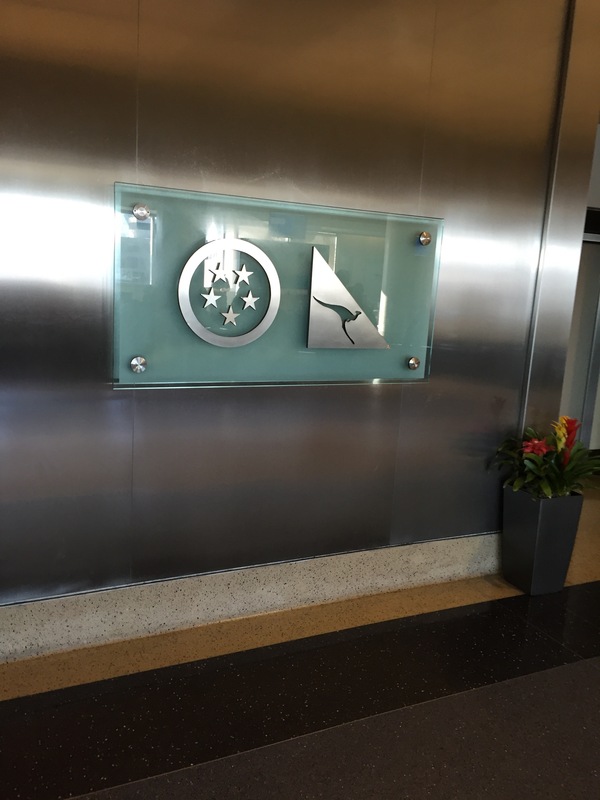 The agent welcomed me into the lounge and wished me a good day. 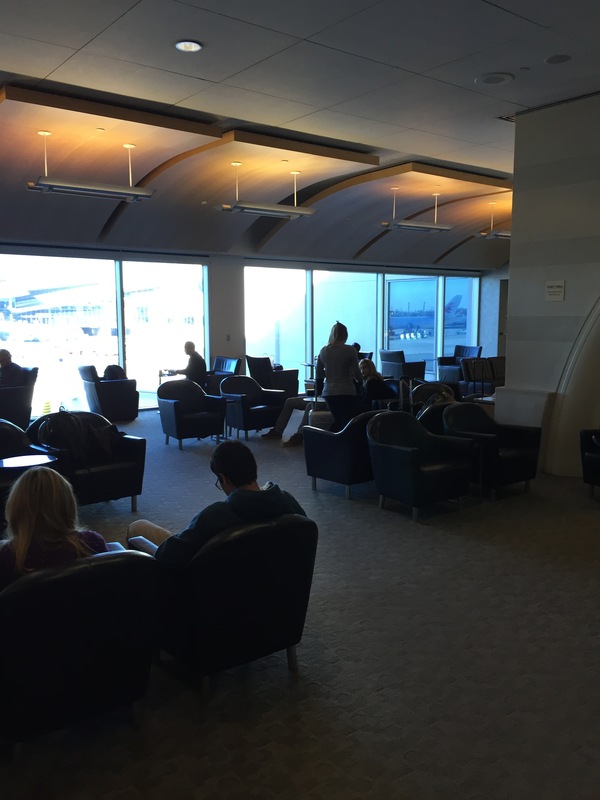 The Admiral’s Club at LAX is a large lounge that is laid out over multiple rooms. The main seating area featured various tables and chairs, couches and relaxation chairs. There are a few other rooms including an enclosed children’s play room, TV room, business center. 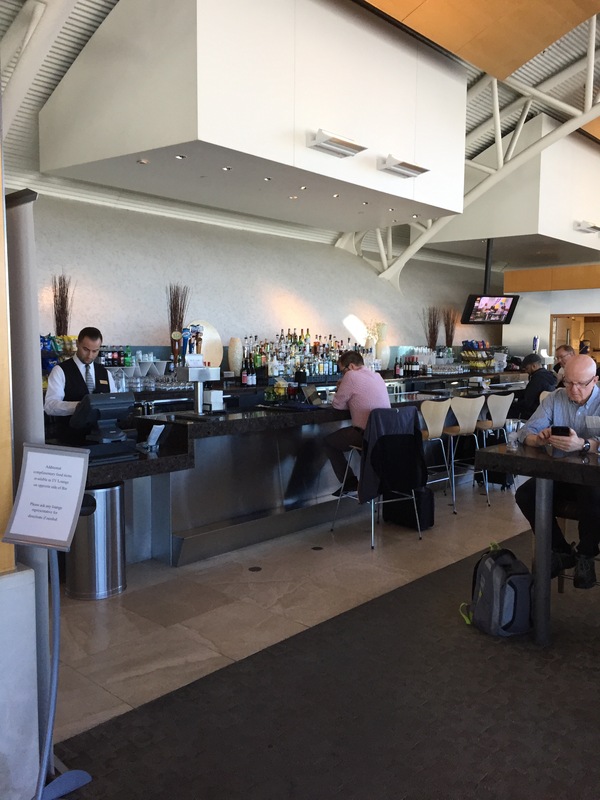 A bar area is setup within the main lounge section. 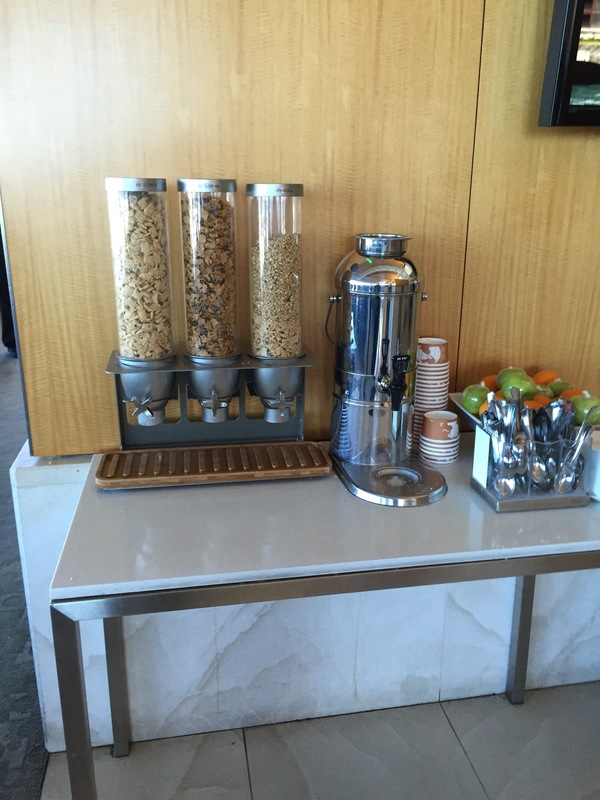 The bar features premium beverages as well as food for purchase in addition to the complimentary offerings. 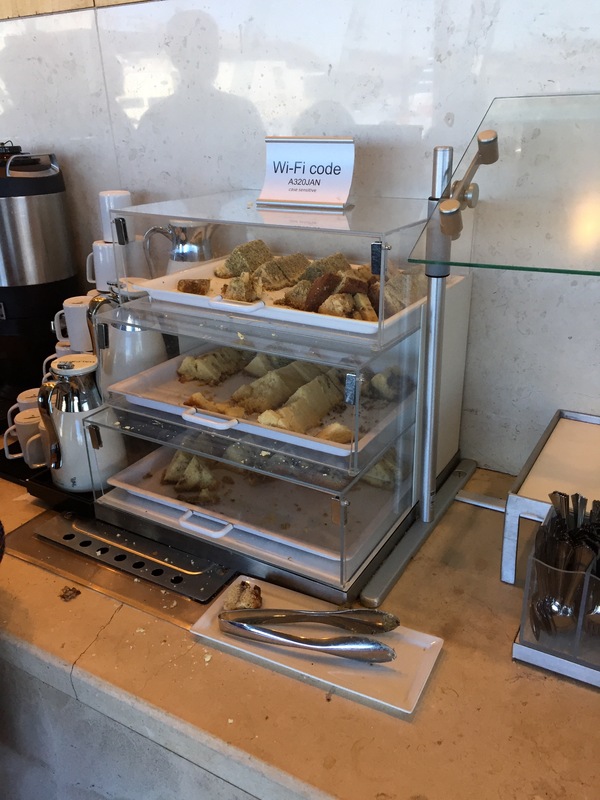 Food was setup on several stations throughout the lounge. At the time of the visit breakfast was available. 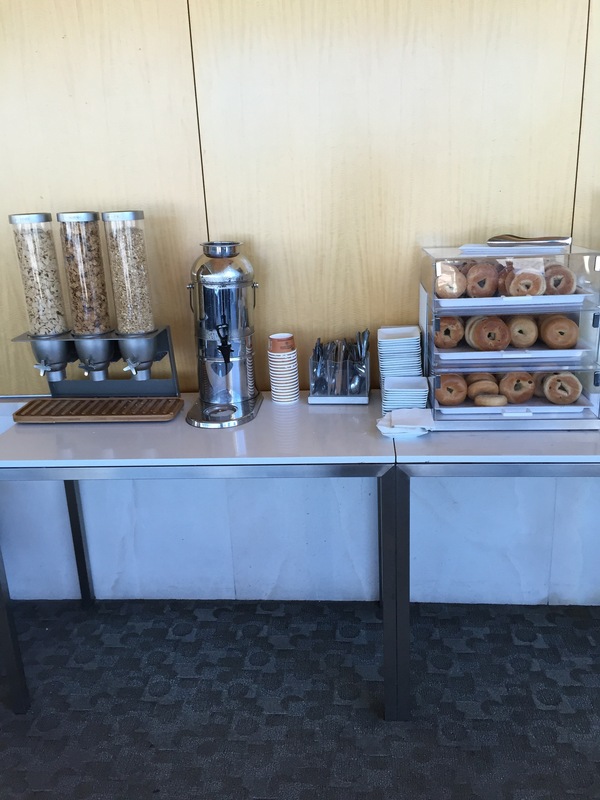 The offerings included bagels, cereal including oatmeal, fresh fruit and pastries. Several coffee machines were also present within the lounge. 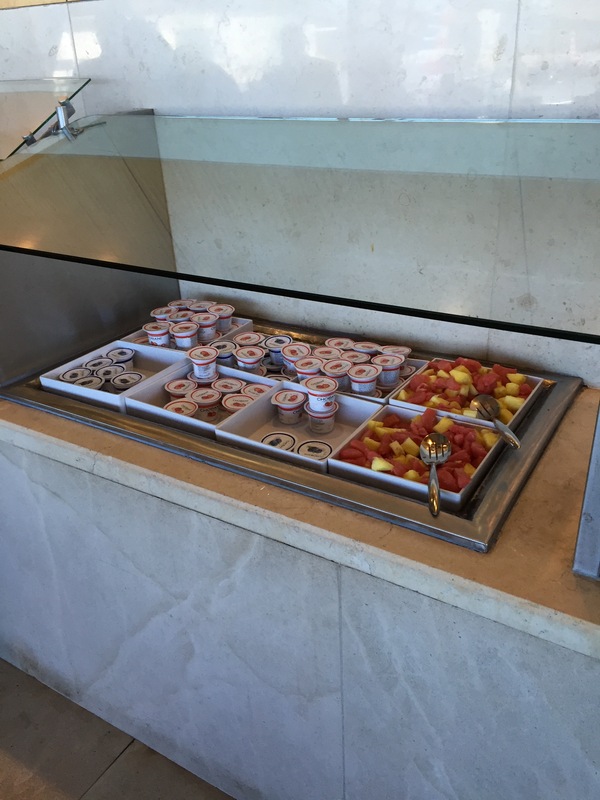 The area was clean and several colleagues were circulating the room and keeping the tables and chairs clean as well as maintaining the food and beverage areas. 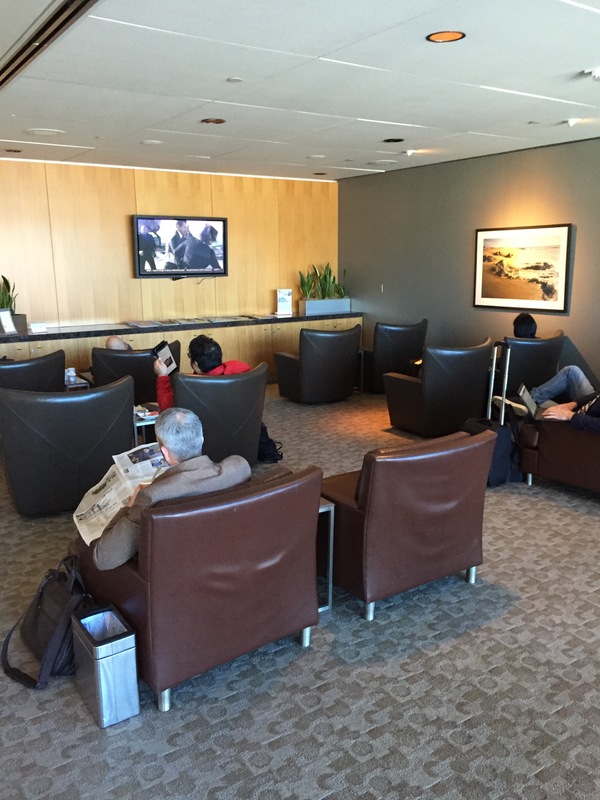 A large picture window offering views of the terminal and tarmac was present in the main room. I took a seat near one of the windows and relaxed for a few minutes. I approached the bar and was greeted by a bartender who offered assistance. 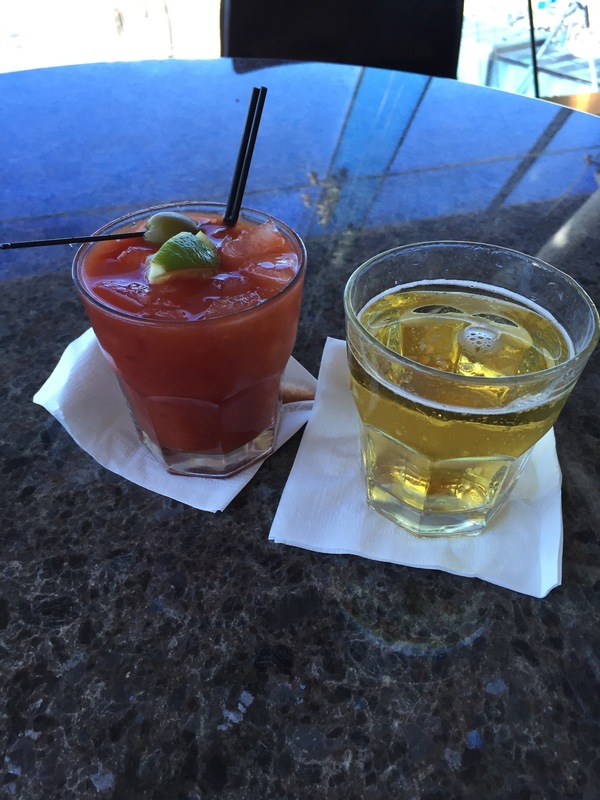 I requested a Bloody May with Kettle One as well as a small beer chaser. The bartender prepared the drink in front of me and served it on a cocktail napkin. The bartender offered additional assistance before thanking me. I placed the drink coupon on the counter and he picked it up and wished me a good day. The beverage was prepared fresh and it had a tangy taste and flavor. The alcohol level was good. After I was finished with my beverage a colleague approached my table and offered to remove the used glass. I accepted and he thanked me and wished me a good day. I departed the lounge and my departure was not acknowledged when I walked by the service desk. Overall the visit to the lounge was good. 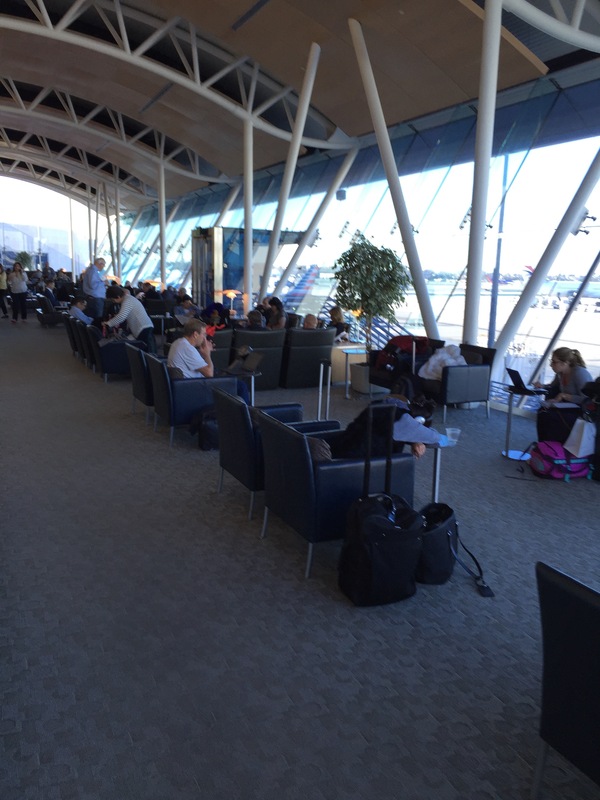 I loved the view of the gate area as well as the tarmac. 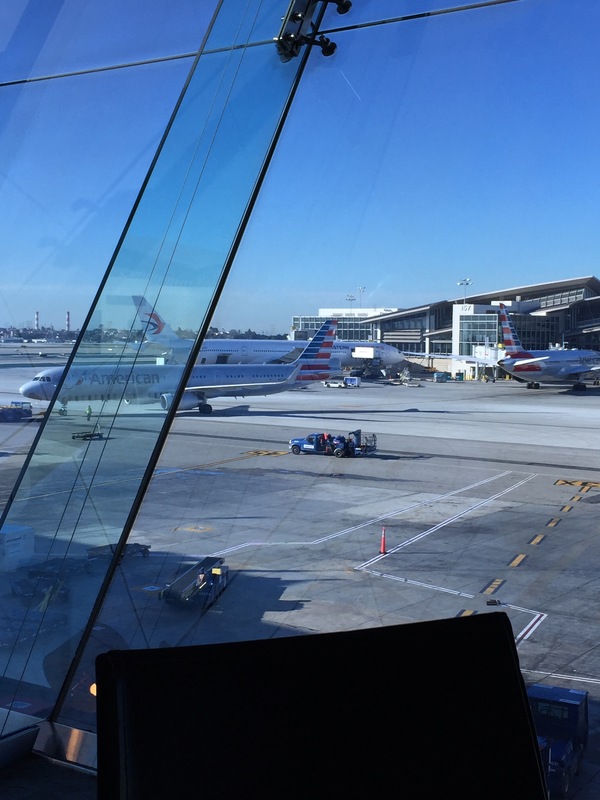 It is always fun seeing all the aircraft at LAX. I felt that the bartender was polite and the drink that he prepared was excellent.